Take to the waves on your own personal watercraft! 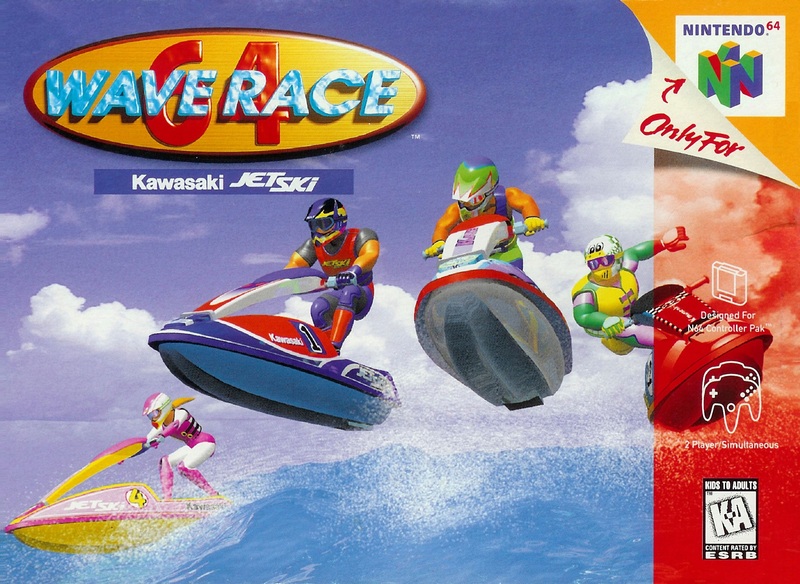 Race the waves in this jet-ski simulation and experience some of the best water effects in retro video-game history. Stay on course through choppy waters and maneuver around the obstacles in your path. Take control in three different modes of play - Championship, Time Trials and Stunt Mode. Nine challenging courses set in exotic locales - race conditions change and the wave action responds to the way both you and your opponents race! Most of all cross the finish line before your competition. Get good enough and you might even be able to ride a dolphin - just don't get seasick! Great game with good graphics and musics. Definitely a nostalgic game for.me and I'm sure a lot of other people. Still as fun to play with friends! Great game. This game came in perfect condition and works perfectly! It's perfect, works perfectly, and is exactly what I remember from when I was a child. Love! Thank you so much! 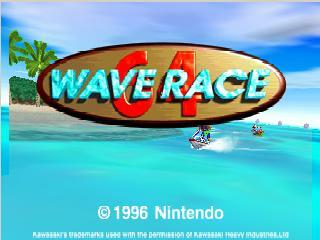 If you own a Nintendo 64, you must also own this game. If you do not, stop what you are doing and buy this game NOW. Lukie provides the most reliable and consistent online services available, of anywhere! I've been a supporter of Lukie Games for nearly 4 years and my collection grown considerably, mainly due to Lukie's deals, super-fast shipping times and top-notch customer service. You can't go wrong with Lukie! A fun Game That's lots of fun to play with great graphics. 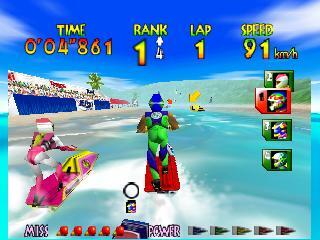 The game is just as I remember it: A great 2-player racing game that is very unique, with nice graphics. This game is a classic for n64 that you cannot pass by. The co-op mode is pretty fun and the graphics are great for a beginning game. Great game. Brings back the memories of middle school. Fun to do he stunts during play. This is a classic! Fantastically fun, bright, and easy to pick up. Great condition and a fast delivery. Works like new, casing is just 4 out of 5 cause one locking plastic piece broke off that holds the bottom of the cartridge together. Other than that, nothing wrong here. A timeless classic on the N64. Love the wave physics. A great game to sit down and play for a couple of hours.